Bring the galaxy to life with the Star Wars: X-Wing Game Bespin Playmat! The Bespin Playmat is easily portable with slip-resistant bottoms, and is tournament legal for all your games of X-Wing and Star Wars: Armada. You can get among the gentle, light-soaked clouds above Cloud City on the Bespin Playmat. 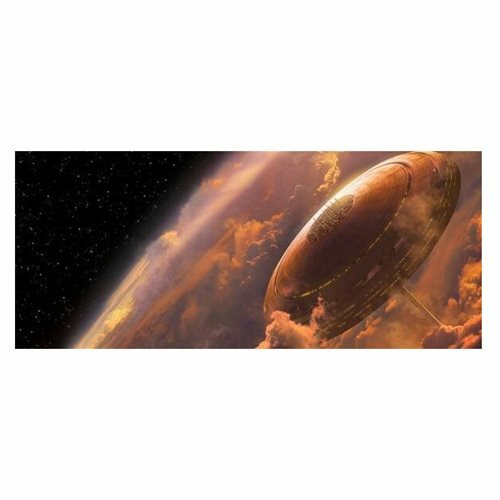 This gorgeous Star Wars playmat ensures your battles will feel as epic as the galaxy in which they take place! Ages 14 and up.